I brought a hammer to church on Sunday. It felt strange to toss it into my purse, but I knew I would need it. All of Easter felt different this year... as if it was on fast-forward. 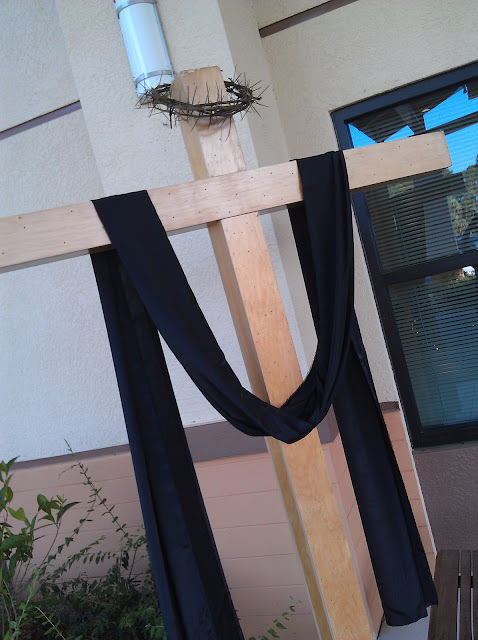 Perhaps for the first time, I did not cry at Good Friday service. The tears were lurking, but in my heart I could feel the victory brighter than ever before. That death had indeed died, and redemption was already living. The altar was stripped of all the things we knew, piece by piece... until only the Light remained in pale darkness. We left in silence. It all moved me... but still the tears were not shed. Minutes later, I re-entered the sanctuary and the bustling began. We spread rich white cloth across the altar, and the Alleluia that was embroidered along the front shouted to my soul! Forty days seems far too long to banish the Alleluias. Fresh white candles went into shining brass. 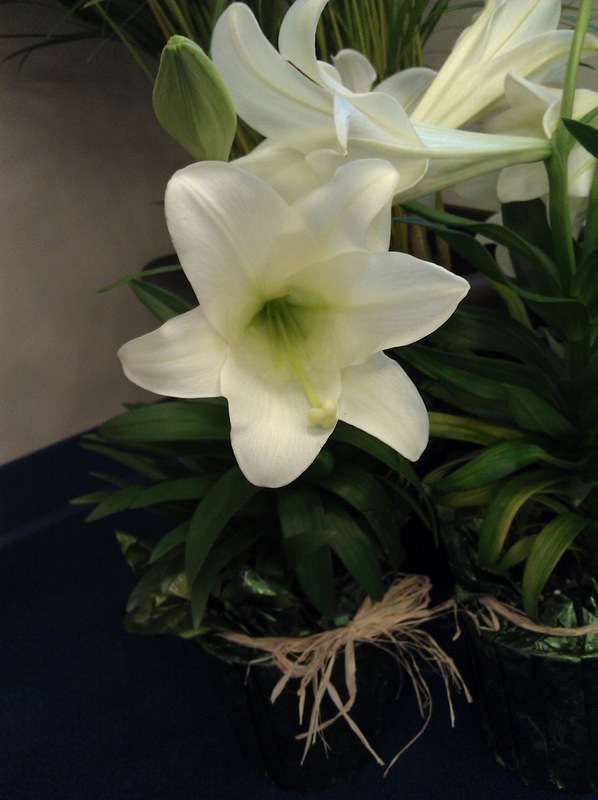 And then the lilies arrived... trumpeting His glory, without making a sound. The calendar still read Good Friday, but we readied for the Glory of Easter. Sunday just after daylight, I carefully removed the crown of thorns from where it set, and pryed the nails out of the black cloth that was draped for Good Friday. And then... I unfurled white satin and let it sail on the breeze. I pulled that hammer from my purse, and carefully tapped two nails into the cross... to hold the fabric in place so all would know that He lives. What moving services you describe here. He lives! Beautiful...thanks for sharing my friend. Dawn, thank you so much for sharing the photos. How beautiful! I know you, of all people, are fed by having a worship space. Our little church is still elementary-school-gym-housed, but some day. . . . Meanwhile, it sounds as if your spirit was very much at rest this weekend. I am so glad. So glad. Wow!! Easter was very special this year. At my church's Good Friday service there were 3 wood crosses. One you could nail notes of praise on the cross. The 2nd one you could dip your finger in red paint and put it on the cross. The 3rd cross you could drape a red ribbon over the cross. Then we had communion. Very moving service. It's amazing what the sound of nails being nailed into a cross make you think about. Glad you had a wonderful Easter.